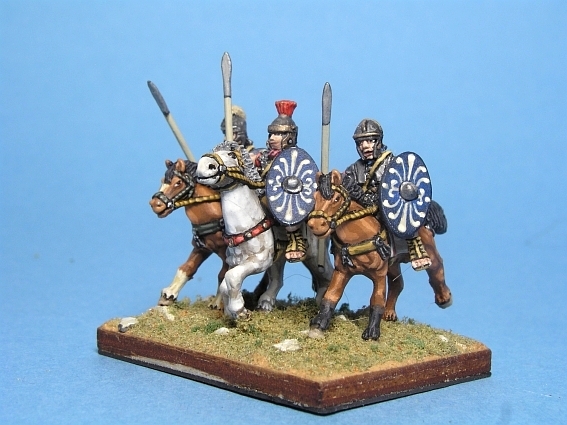 Looking for some nicely painted miniatures for your collection? 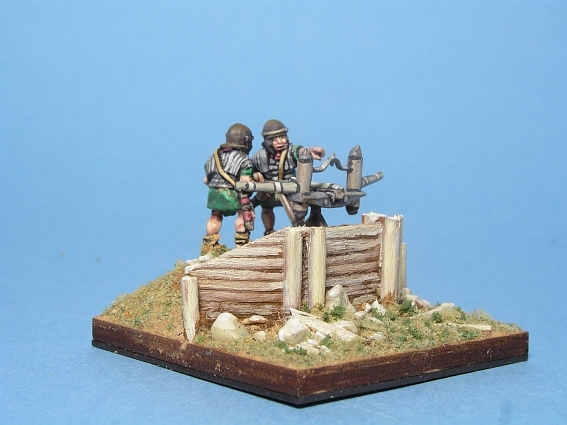 You are welcome to have a look at what's for sale at THE MENIX MINIATURES SHOP on Ebay! Klick here! As my next DBA-camp project I started with the construction of the Tomb of Cyrus the Great, King of Persia (Cyrus II 580/90 - 530 BC). Cyrus established the Empire by shaking of Median dominance and conquering vast territories in the 6th century BC. 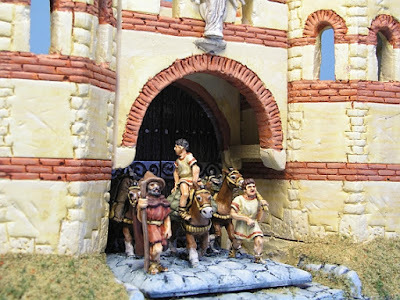 He traditionally figures as a model king in historiography, allegedly freeing deported people after conquering Babylon, defining human rights for the first time in history, making friends with former enemies etc. 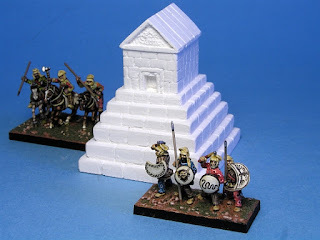 who won the Persians their empire. 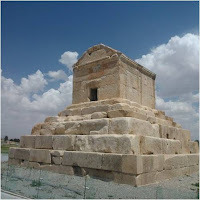 The tomb was held in highest esteem by the following Achaemenid rulers but was looted soon after Alexander's destruction of Persepolis. 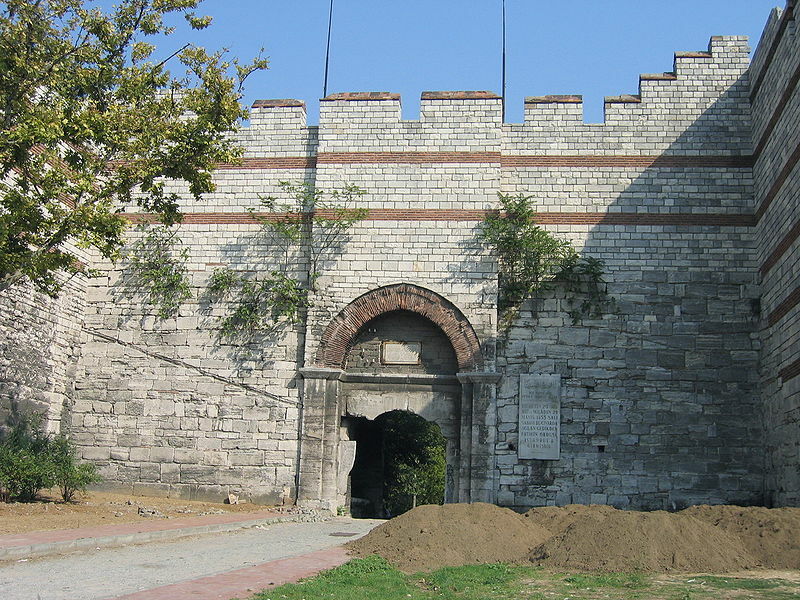 Seeing himself as part of Persian imperial tradition, Alexander restored the compound and contents. The tomb still exists today as a significant part of Iranian cultural heritage. 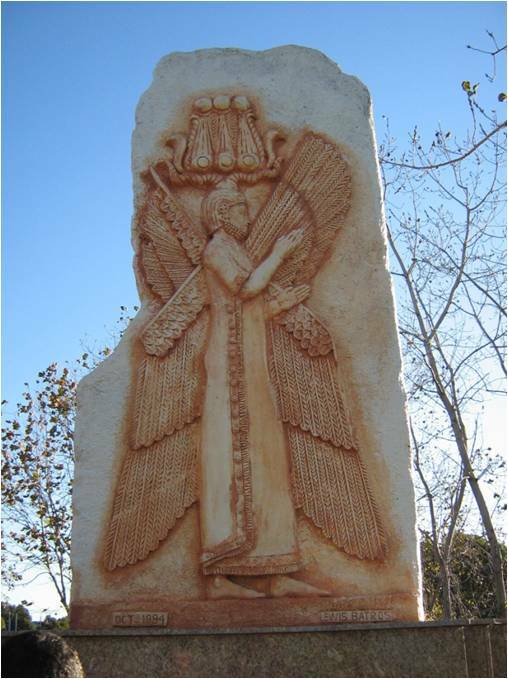 and later Iranian armies, since a number of Dynasties founded their claim to power on ancestral, spiritual, ideological or cultural relationship to Cyrus. 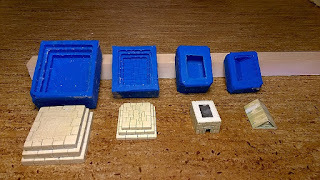 Now, in a next step I create a scale model for 15mm tabletop figurines from modelling clay and create a mold of silikon-gum. 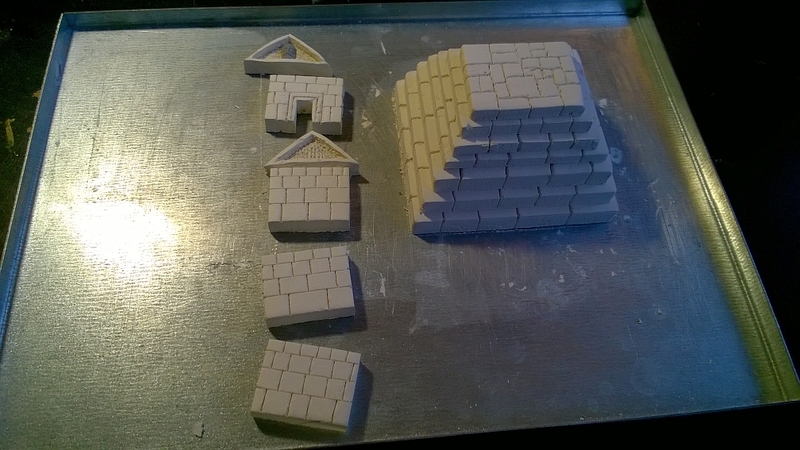 In the end I'd like to cast copies from stewalin. 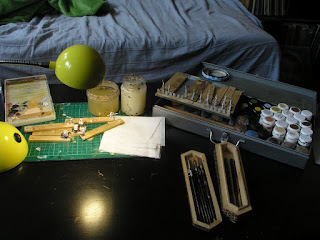 Later I might try poly-urethan resin. Work in progress: Molds made of silikon gum taken from the original model. 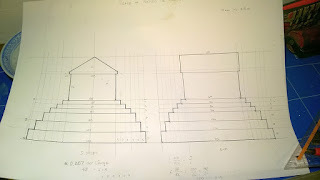 Lower und upper pedestal, chamber and roof. 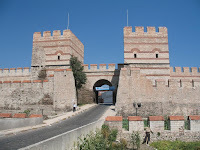 In the late seventh century, Byzantium lost large parts of its territory to the Sarascenes notably the wealthy provinces of Palestine, Egypt and Syria, thus reducing imperial income and defences dramatically. 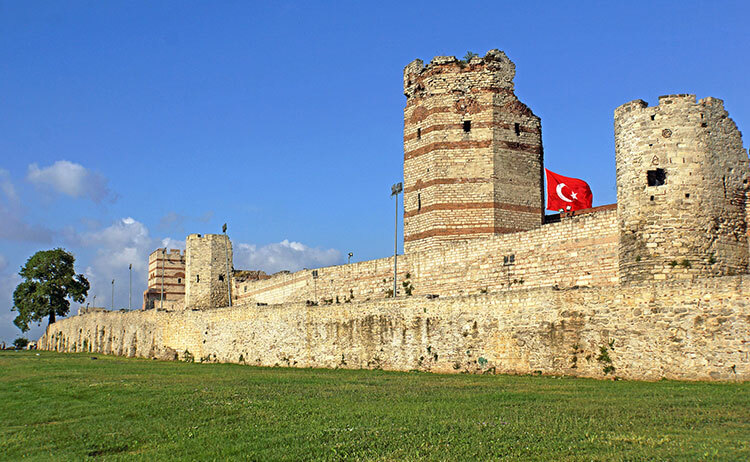 As a result, the Empire reorganised the governement of the threatened Anatolian provinces and the army by establishing a new division of territory into "Themes", each with it's own army commanded by a Strategos who presided the civil governement of the theme as well. 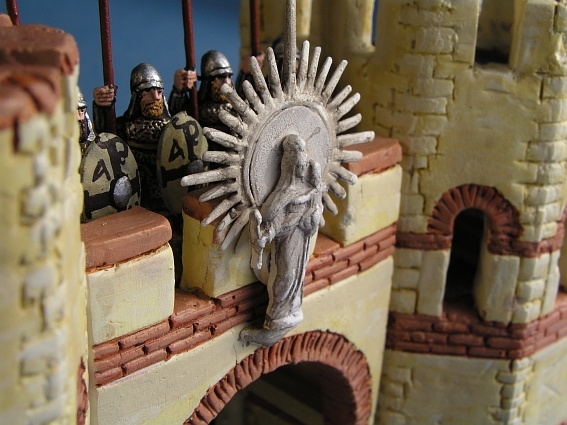 This arrangement proved efficient enough to ensure the survival and eventual recovery of the Empire for centuries to come. 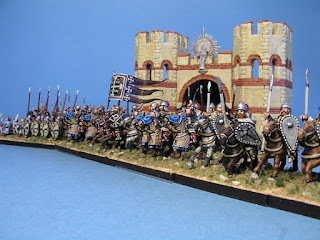 The theme system desintegrated after the Seldjuks defeated the Byzantines in 1071 at Manzikert and overran most of Anatolia. 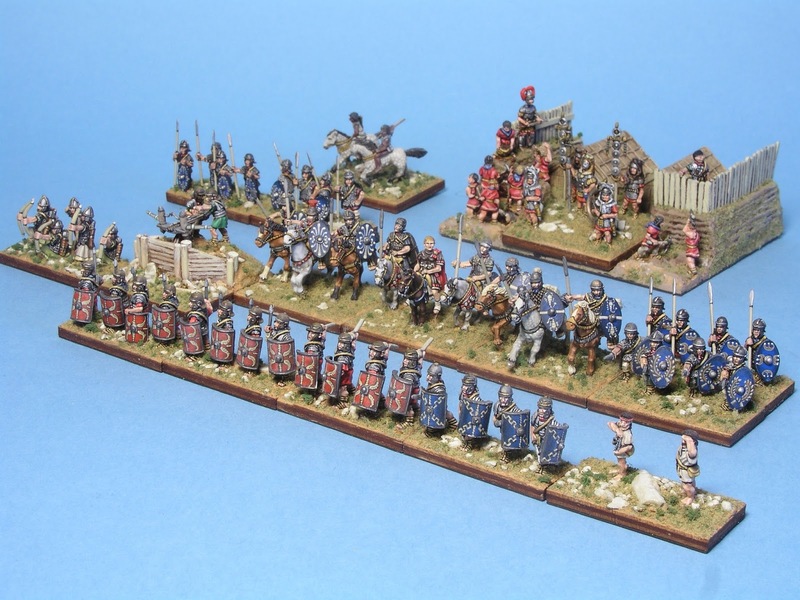 The thematic armies of Byzantium are represented in DBA as a cavalry-heavy force (mostly Cv, some LH) and a small core of heavy Infantry (Pikes & Bows). 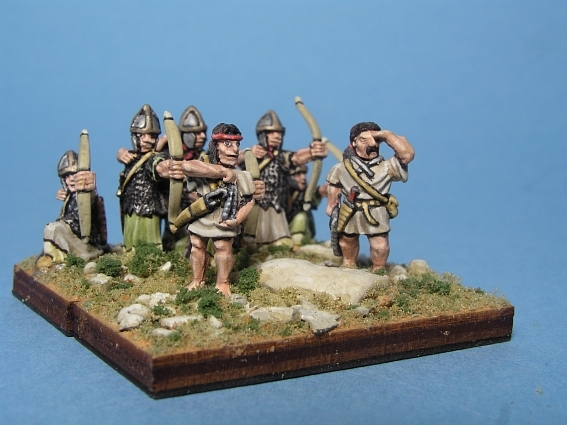 The Figures are from Alain Touller and Essex. 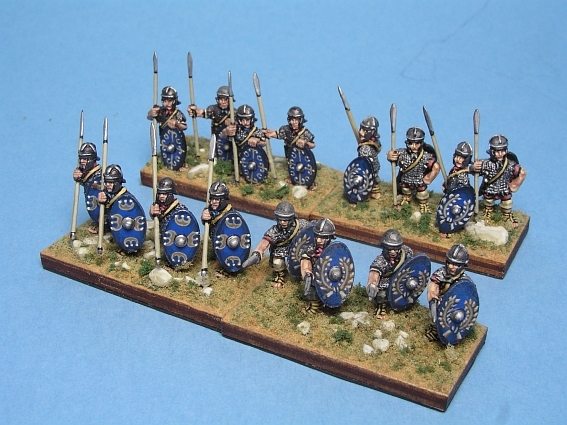 Thematic Byzantine DBA Army, all options. 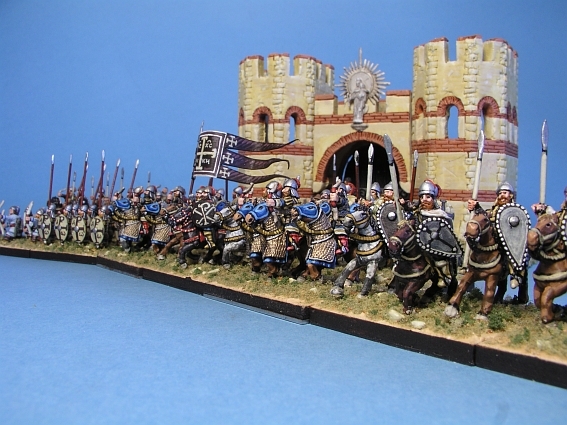 The baggage train is marching out through the gates of Constantinople to join the column of the Byzantine Army. 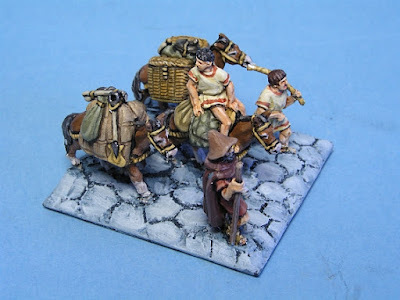 Three mules carry provisions, tools and kit lead by boys while a wine merchant walks along looking for a good deal to sell his cheap stock to unsuspecting customers and thirsty soldiers. 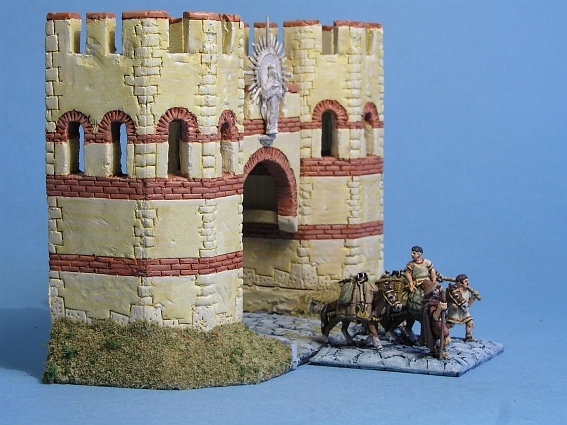 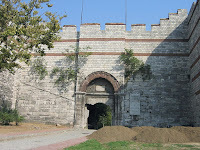 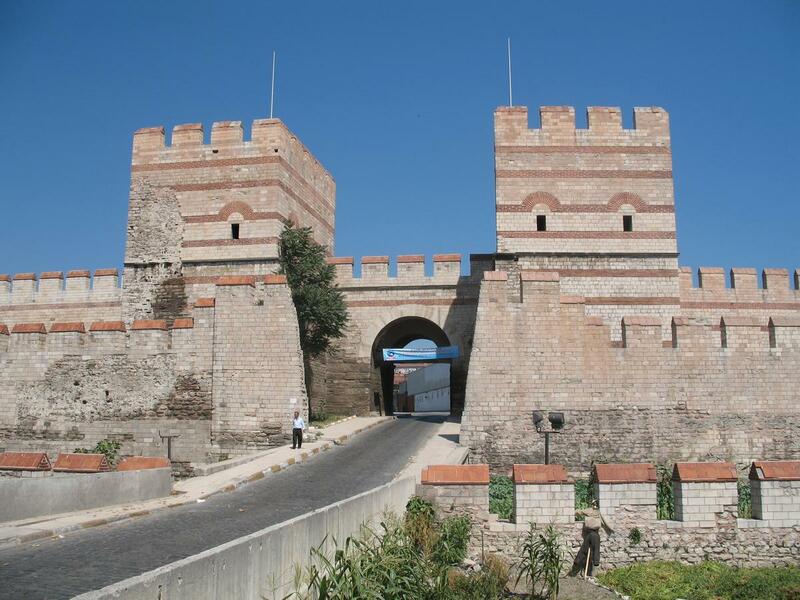 This Byzantine Gatehouse is inspired by sections of the Theodosian Walls of Constantinople, today's Istanbul. It is a truly original piece, a stewalin cast from a silicon mold I made by myself. 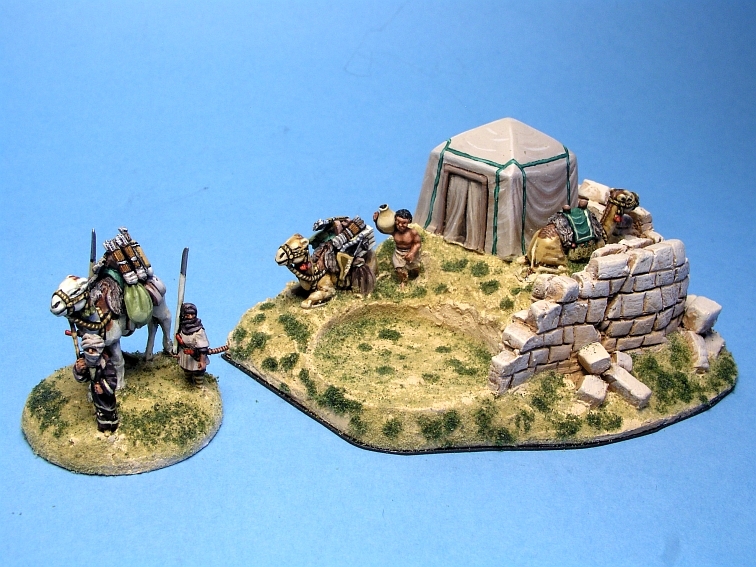 Copies are now for sale, you might contact me by e-mail Menic666@yahoo.com or go to the MENIX MINIATURES SHOP. 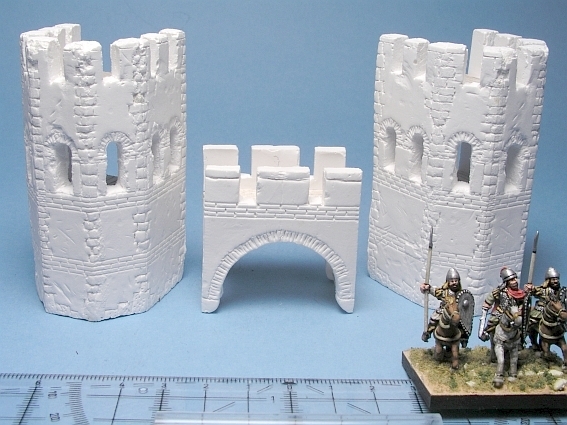 Please note it comes unpainted and unassembled just like on the image below. 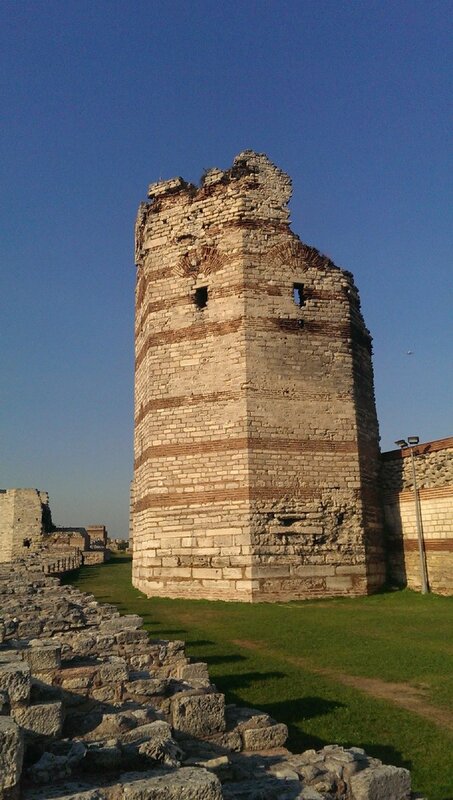 Constantinople's patron is Maria. 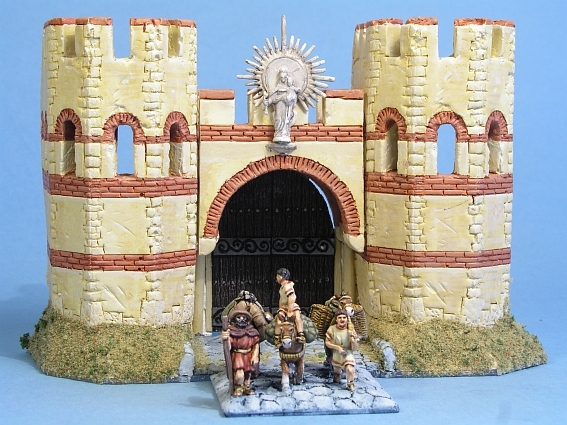 So, I thought I'd put her marble effigy over the gate. 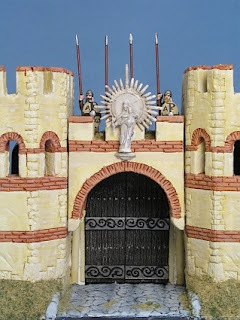 The statue is made of trinkets you might find in souvenir shops at places of pilgrimage like Rome, Santiago or Einsiedeln. 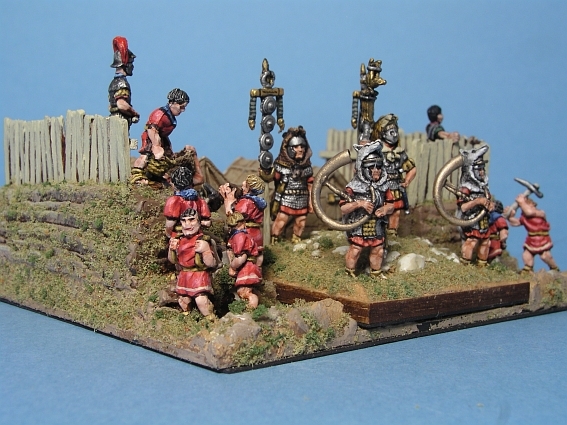 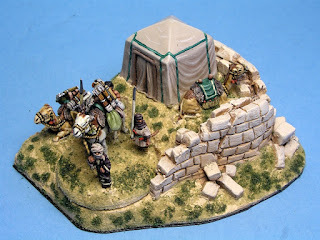 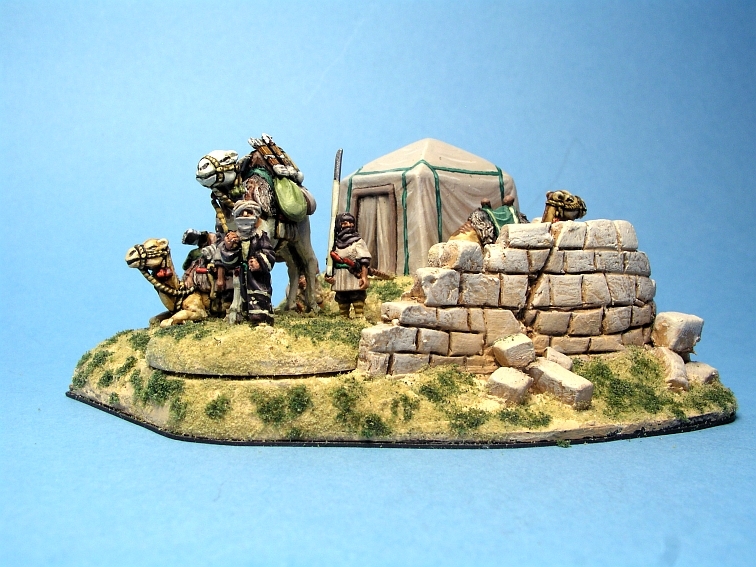 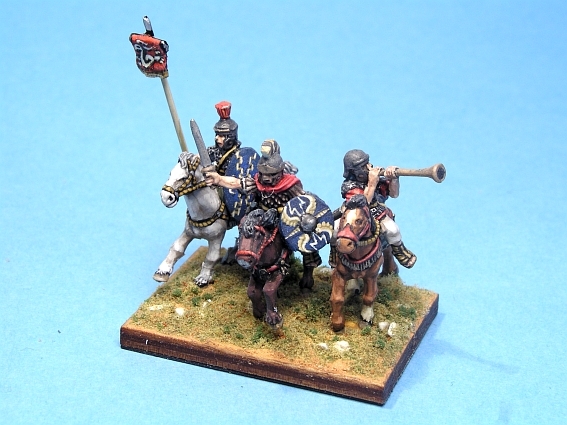 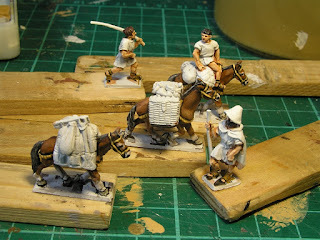 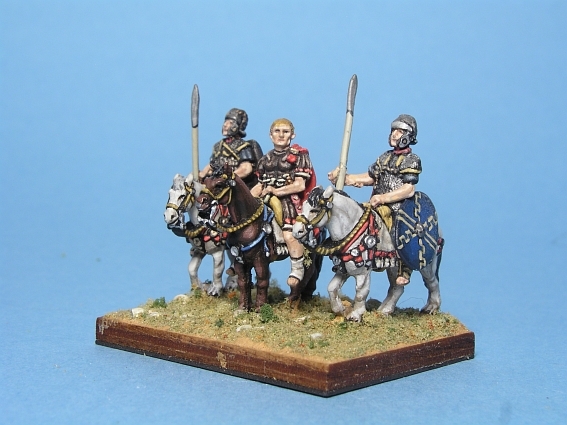 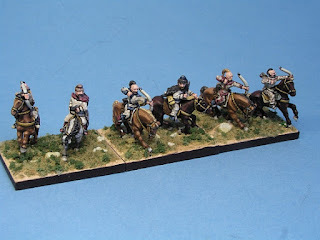 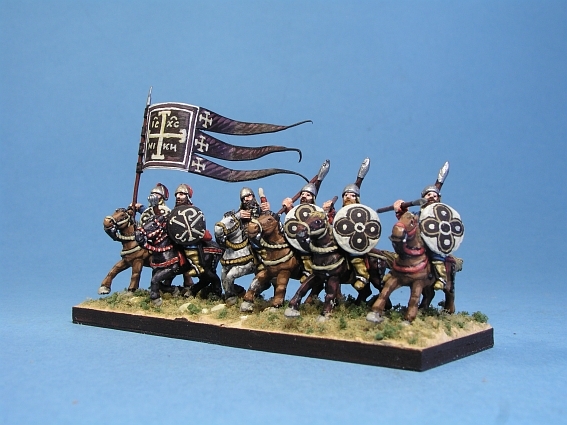 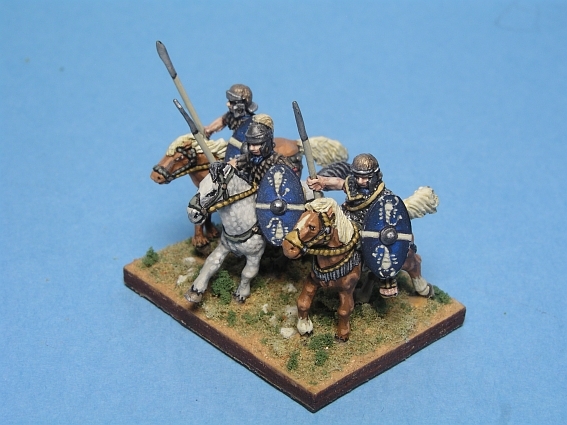 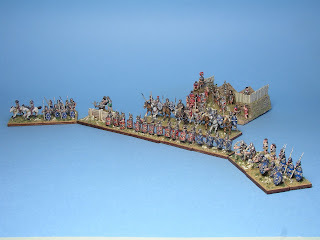 Three mules, two kids and a pilgrim form the baggage train for my Thematic Byzantine Army coming up soon on this blog. It is set up in an ancient ruin in the arid region near Palmyra. I thought I'd put up some camels loaded with quivers getting ready to resupply their Light Horse archers. I had to do all kinds of cover up jobs like file the bottom level with sandpaper, fill cracks with putty etc. 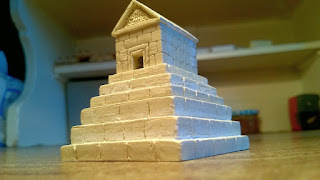 I have to find an alternative. 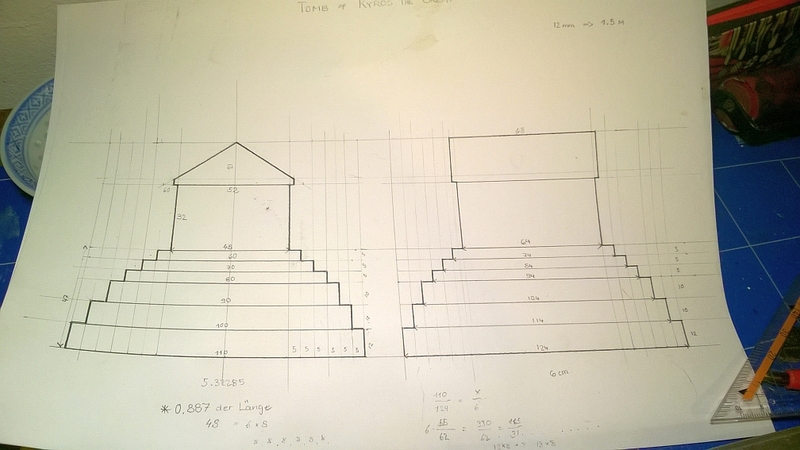 Can you help me here? 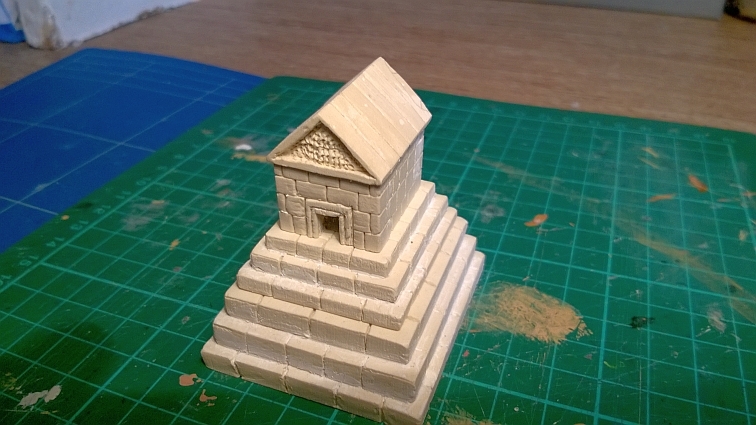 After drying I cover it with a putty from NOCH. 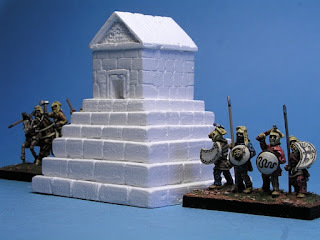 I'm sure you fellow collectors know the same predicament: you are left with tons of unused miniatures stowed away on the attic in dusty boxes due to lack of time to paint them or because you shifted fields of interest to other historical periods or rule systems. 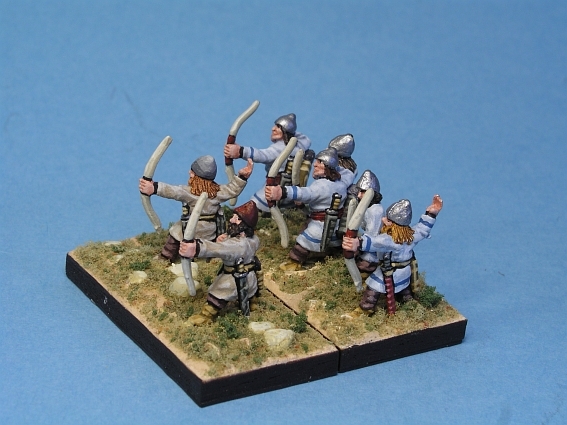 Now, I decided to let them go and sell them to gamers and painters like you who can make better use of them. In the MENIX MINIATURES SHOP on Ebay I sell anything from 28, 25 or 15mm figures painted by me, anything from fantasy to historical. 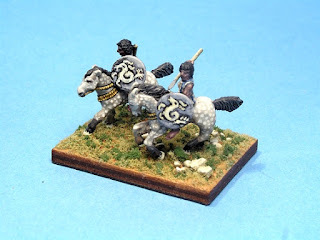 Some on auctions or favorable prices, others somewhat more expensive, since I spent much love and time assembling and painting them. So, feel free to drop by once in a while, bookmark the MENIX MINIATURES SHOP, and be sure to be the first on the block to own an ORIGINALLY MENIC-painted miniature! 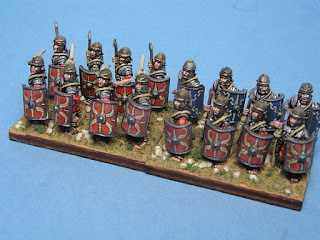 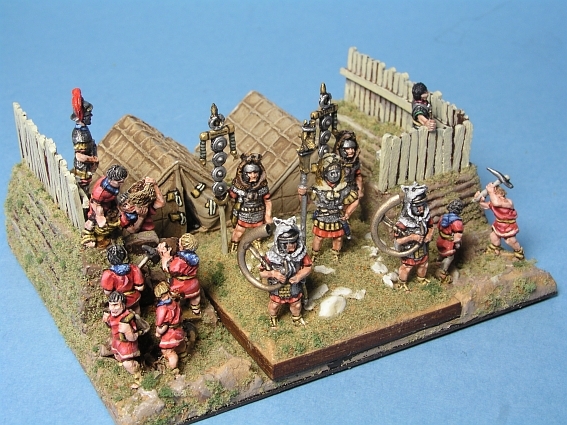 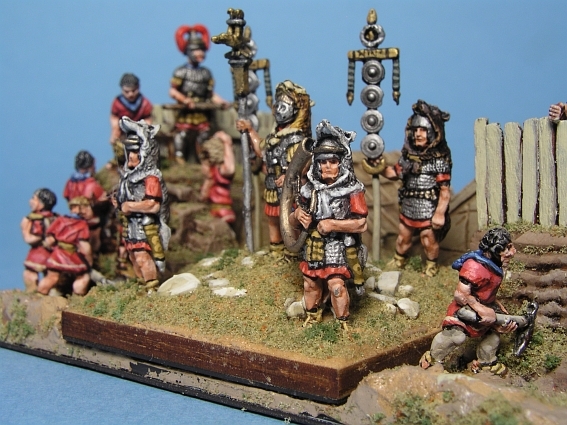 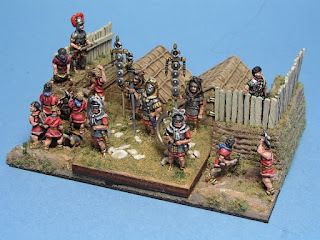 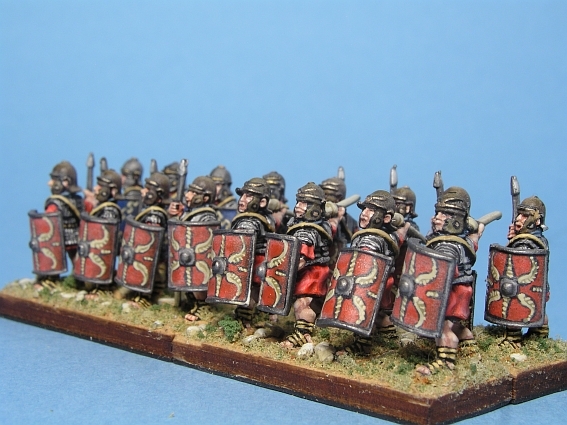 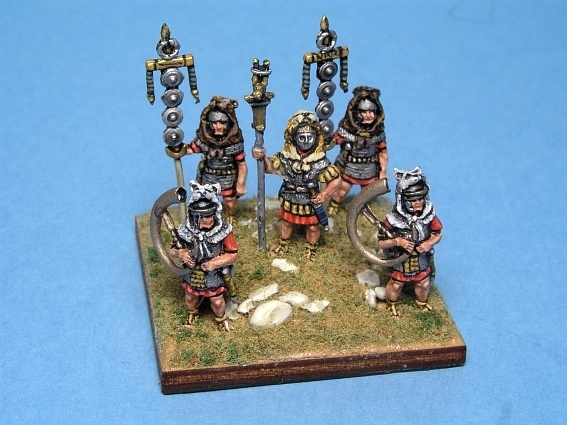 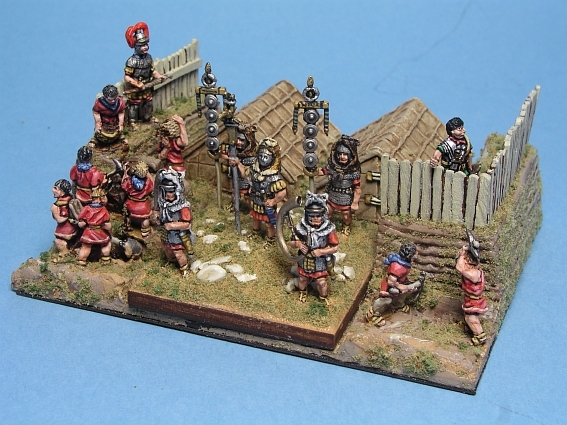 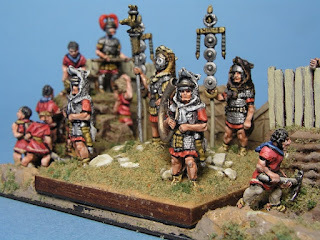 This is the LEGIO XI RAPAX (latin = "predatory") and was stationed in Vindonissa (Windisch/ Switzerland) from AD 43.It is represented by one DBA Army 15mm, figures cast by Eureka Miniatures, Corvus Belli, Essex and Baueda. 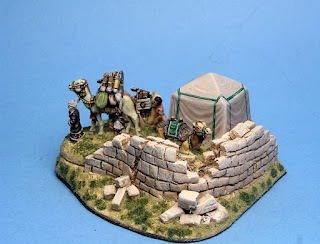 The Camp with Camp Followers,legionaries (Baueda) building the marching camp (scratch built) and tents (Baueda). 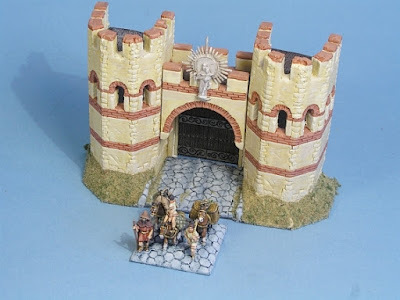 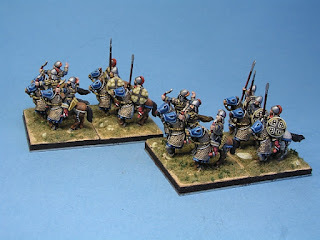 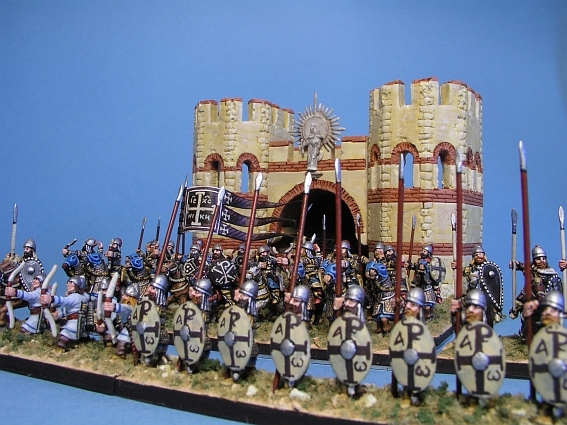 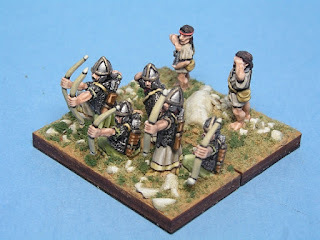 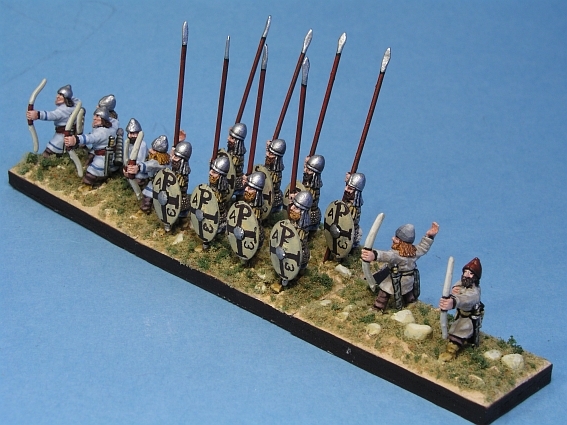 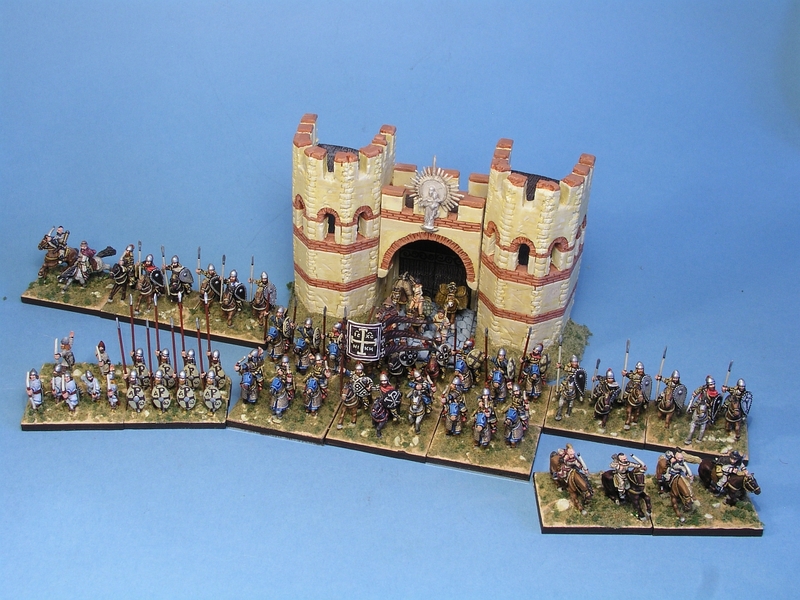 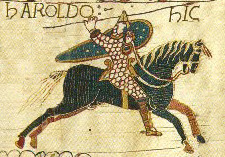 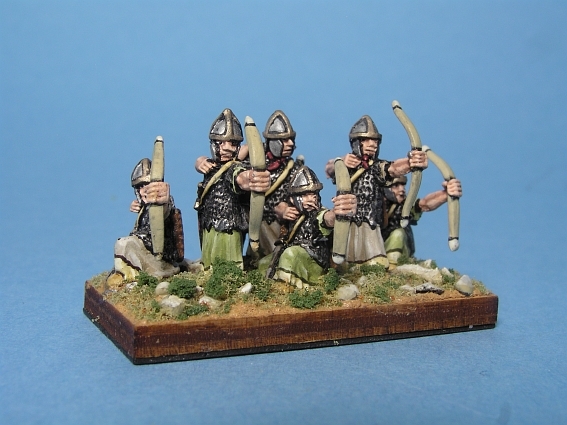 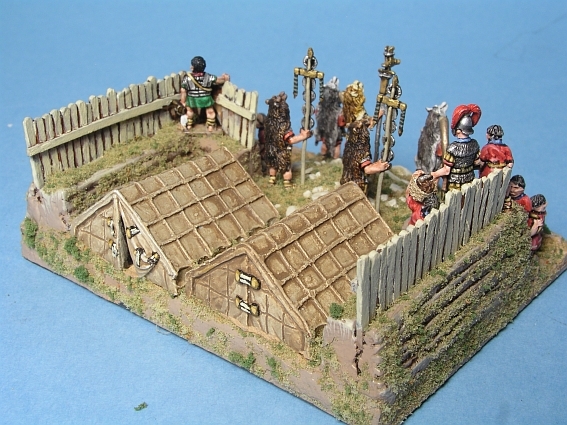 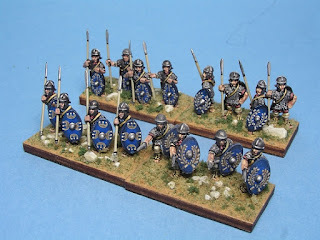 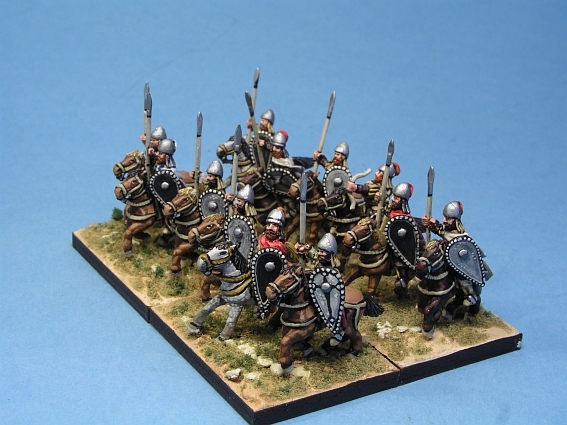 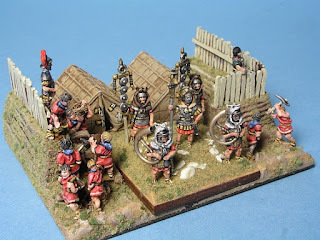 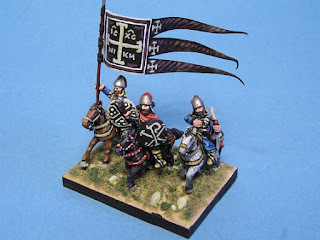 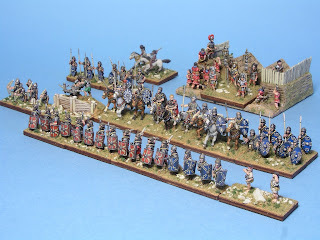 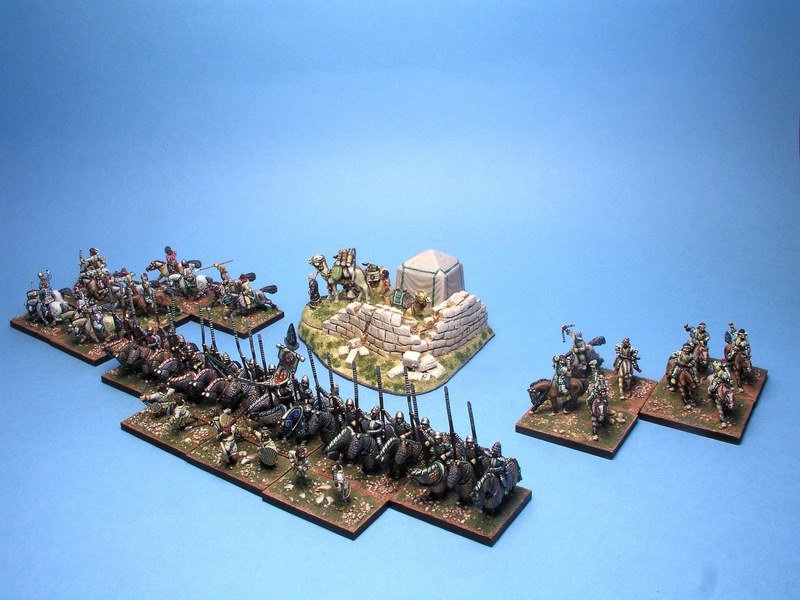 This blog is dedicated to ancient and medieval miniature wargaming. 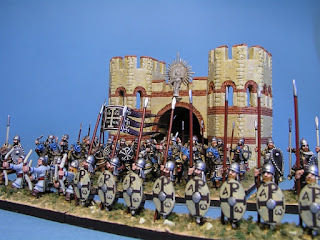 I'd like to share pictures of my painted armies and models, self made terrain-pieces and sketches of projects still residing in my head or on a piece of paper. My main interest at the moment is creating armies and accessories, researching for historical or made-up scenarios and campaigns for the fast-play wargaming rules from "De bellis Antiquitatis" (DBA) with 25mm and 15mm figurines. 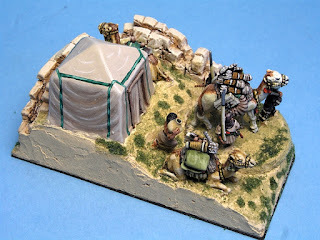 I use the blog-format rather unconventionaly. It is more like a scrapbook. And I update the older posts so keep checking. I recommend utilizing the labels to the left. 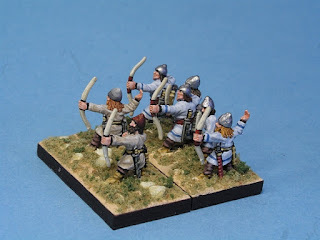 So if your just interested in miniatures click the "Miniatures"-label and you will be presented with posts concerning painting, figurines etc. And don't forget to click on "older posts" at the bottom of the page for more. And many thanks for commenting! 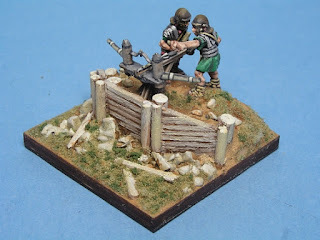 Photographs showing painted toy soldiers, terrain pieces, scratch-built things and drawings © Menic Rüttimann 2.Nov.2006. 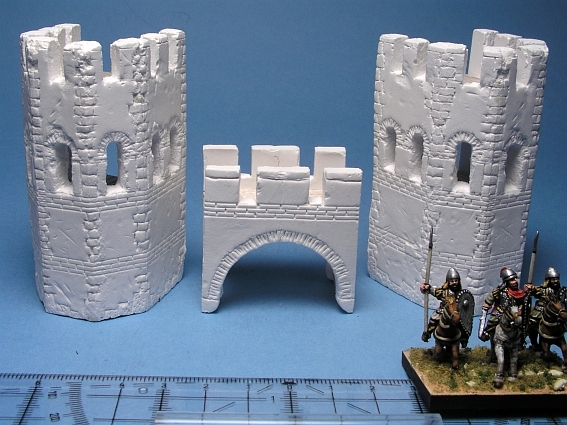 Please notify me if you wish to use these.